I read this article and found it very interesting, thought it might be something for you. 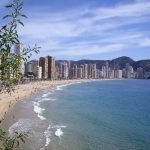 The article is called 7 Best Beaches You Must Go in Benidorm and is located at http://trip-n-travel.com/listicle/16263/. 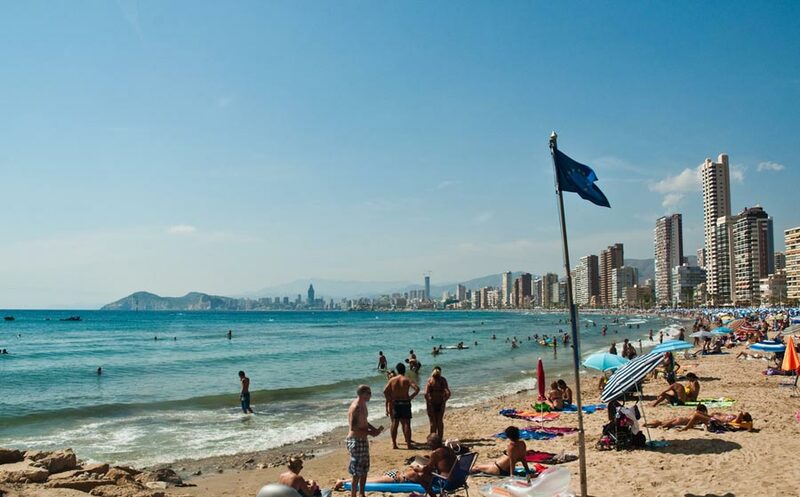 Benidorm is the ultimate spot for a beach getaway. 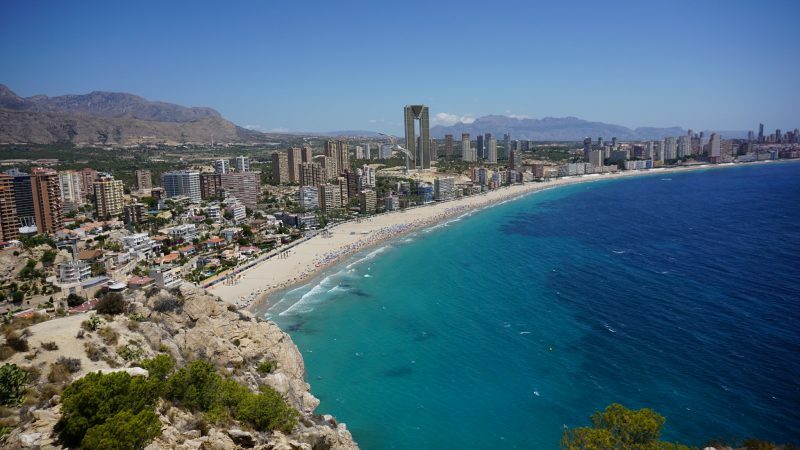 Swarms of sun-seekers make way to Spain’s Costa Blanca, and for good reason! The beaches are clean, warm and lively with some of the nicest sand in the Mediterranean. They’ve even been awarded the European Federation of Environmental Education’s Blue Flag for cleanliness since 1987. 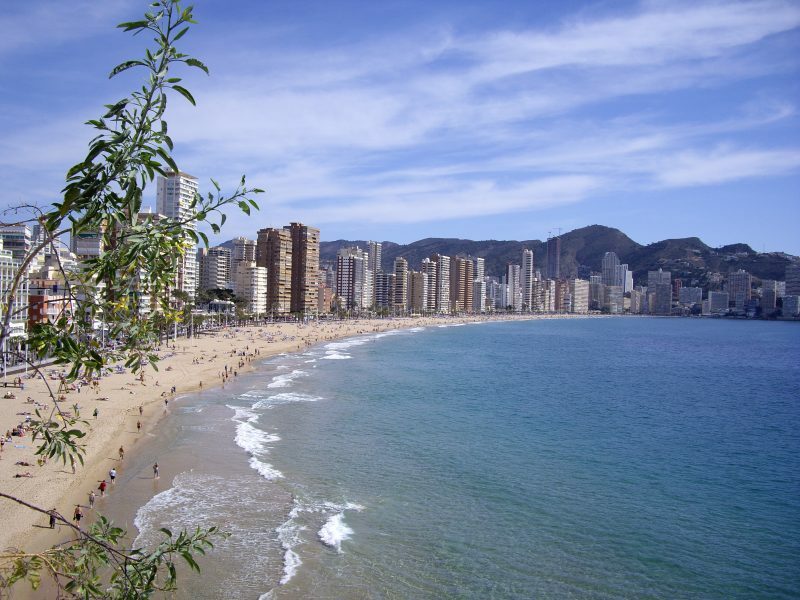 If you know anything about Benidorm, chances are you’ve heard of Playa de Levante! Also known as Sunrise Beach, this east-facing beach is one of the most well known in Europe. It can get VERY crowded. Fortunately, Benidorm does a great job of keeping its beaches clean with nightly litter removal and leveling. 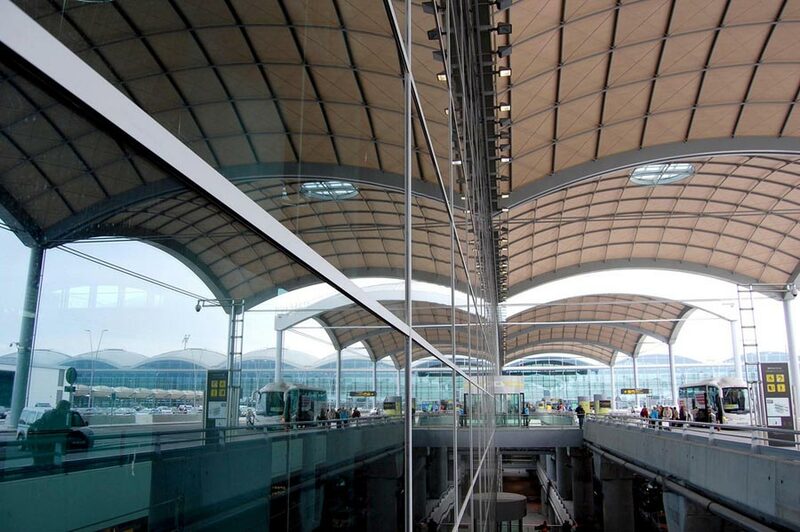 There are extensive public facilities including showers, bars, restaurants, and help for the disabled. If water activities are what you’re after, there is paragliding, skiing, and even an inflatable obstacle course during the summer months. 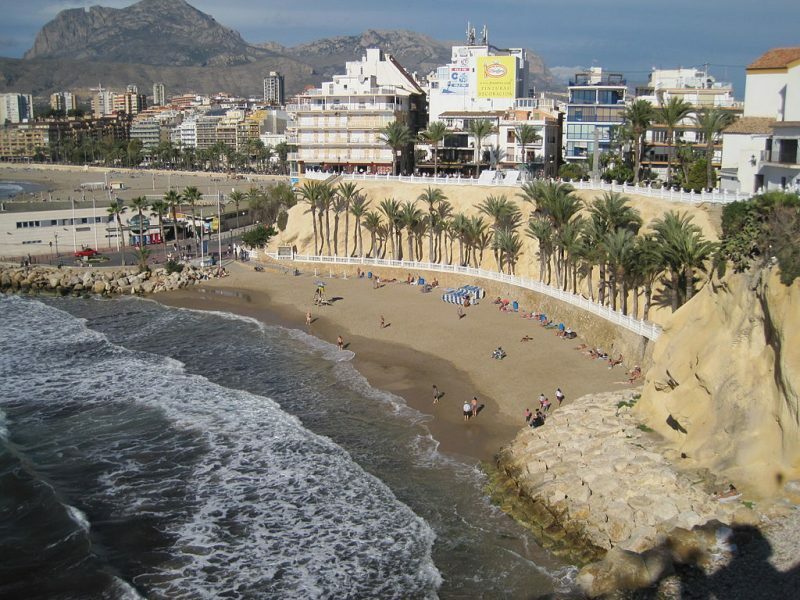 The second of Benidorm’s 2 main beaches, Poniente, is another lively spot. If you’re looking for all of the facilities and ease of use, with a bit less of the chaos, this is a great place to go. Locals tend to favor its soft sand and quieter visitors. With its shore facing west, the sun shines on this beach late into the evening – perfect for your evening swim. Playa del Mal Pas is a small, sandy cove that is often overlooked by the typical visitor. It’s between the harbor and Punta Canfali, making it the most centrally-located cove in the area. While here, visit Placa del Castell and the Balcon del Mediterraneo for a stunning view. Don’t forget your camera! Cala Finestrat is quieter than the main beaches of Benidorm, with soft sand perfect for young children – an ideal location for families. Food trucks can be found on the street and every Tuesday there is a local farmers’ market to browse! 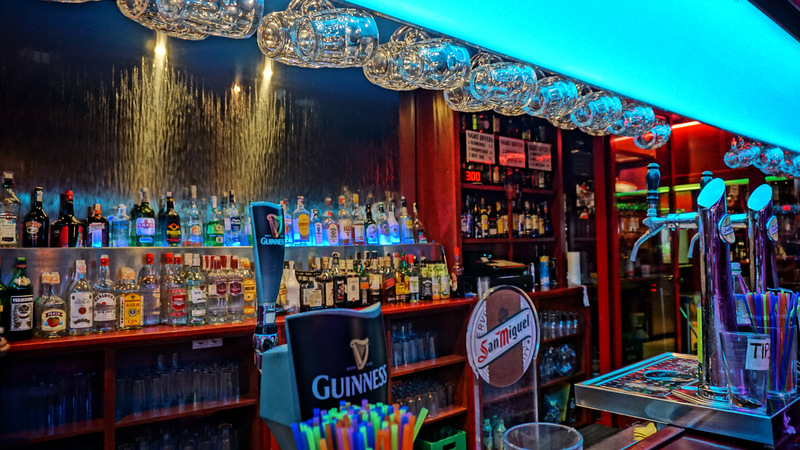 If you’re looking to catch your team’s football match whilst on vacation, it’s probably playing at Molly Malone’s bar on the shore. 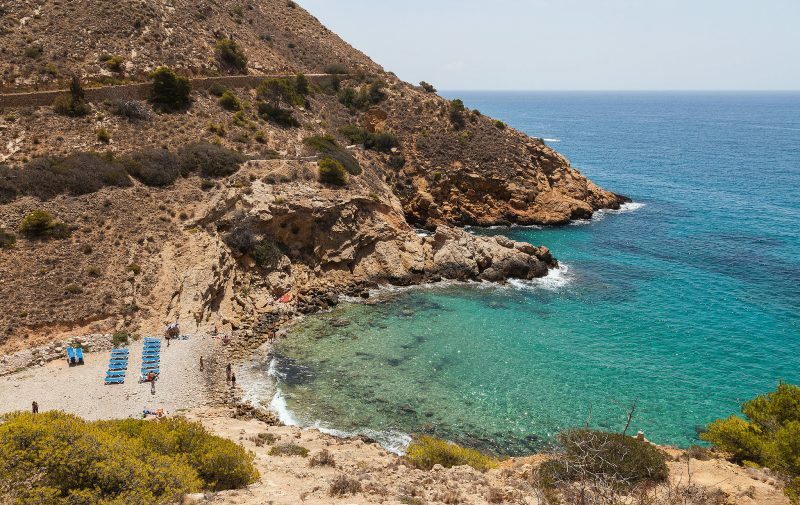 Cala Almadrava’s small shore assures calm, clear waters full of marine life – perfect for snorkeling! The shore is both sandy and rocky with a small number of lounge chairs for those trying to get away from the party scenes on the main beaches. 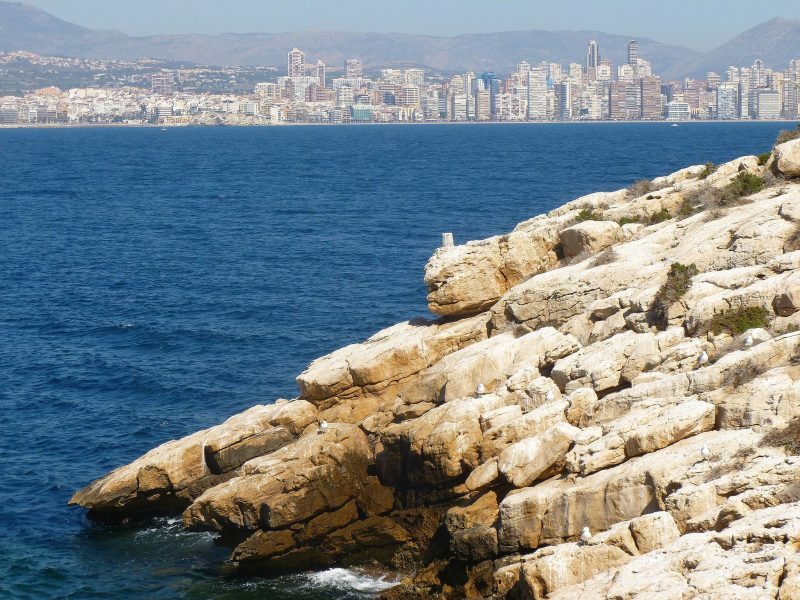 Isla de Benidorm, also known as Peacock Island, is a lovely afternoon trip off the coast. Hop on a glass-bottomed boat for €15 to check out the fish on your ride over. Hike to the top of the rock, snorkel in the cove, and grab some lunch at the restaurant while enjoying the breathtaking view of the coastline. Don’t miss out on the peacocks in an enclosure up the hill! Opening hour: 10:00. Boats depart hourly. Last trip depends on weather conditions. 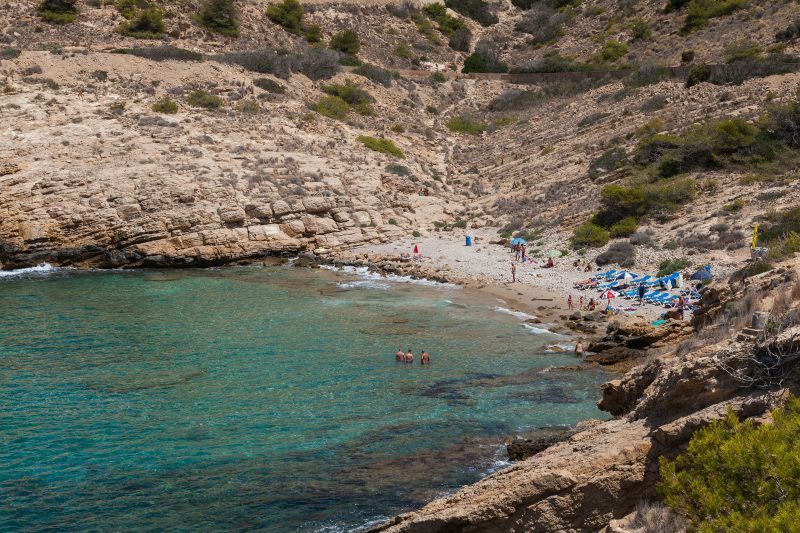 The smallest cove in Benidorm, coming in at only 60 meters, is Cala Tío Ximo. It’s located at the far end of Levante past the cable ski. If your priority is seclusion, this is your place. Follow the road to the end you’ll reach this area often used for natural sunbathing. 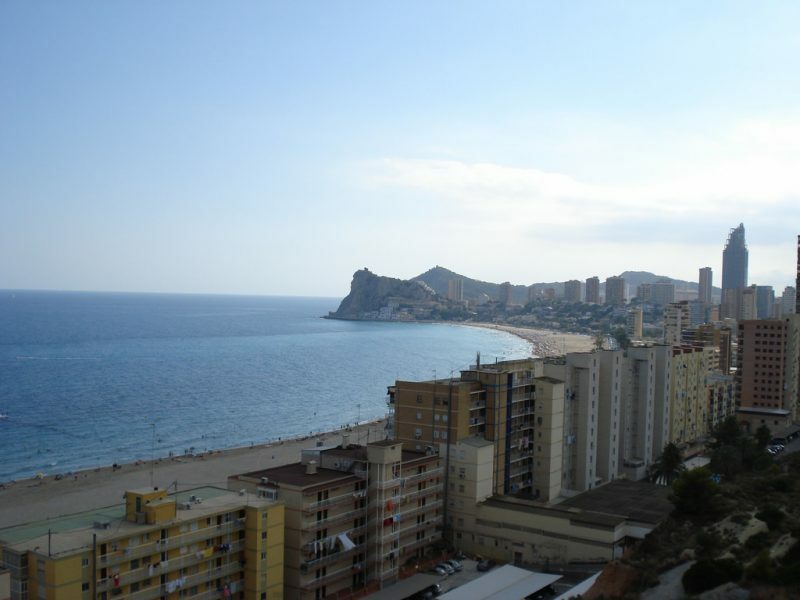 Each of Benidorm’s beaches has something unique to offer. 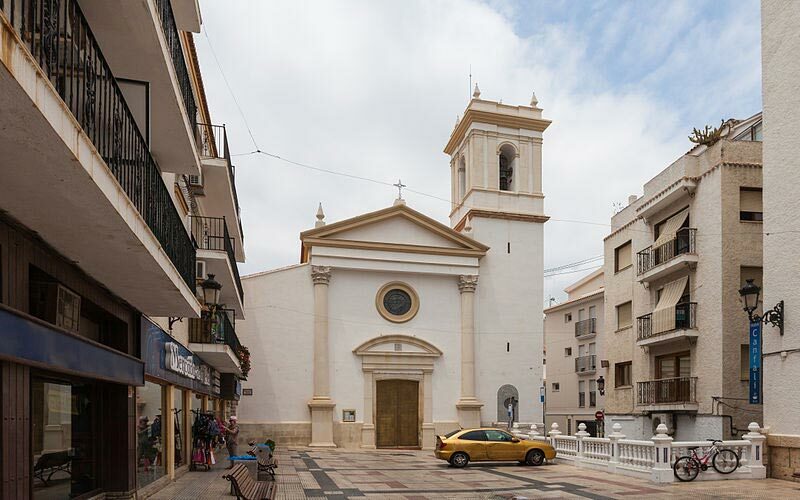 Whether you’re looking for a place to rent skis or just lounge for the afternoon, you’ll be able to find it at Spain’s beautiful Costa Blanca.